The 1936 US Olympic rowing team on the water. 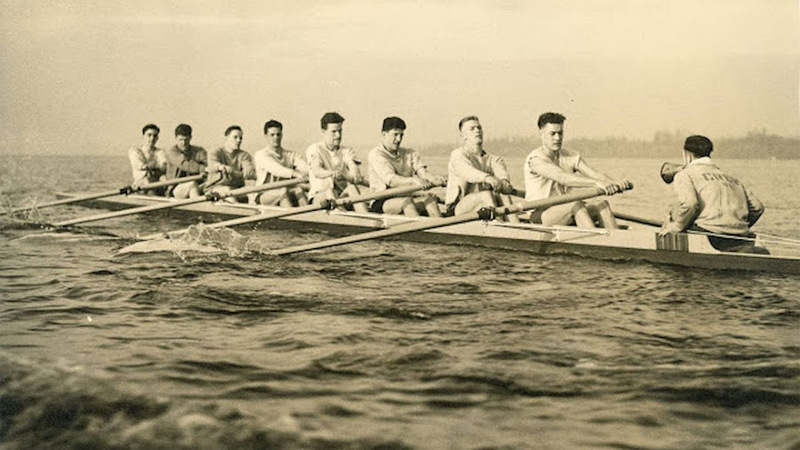 The unlikely crew, from the University of Washington, in a stunning upset won the gold in Nazi Germany. In competitive rowing, the coxswain is the coach that sits in the boat, calling out pace, adjusting direction, and motivating the rowers. 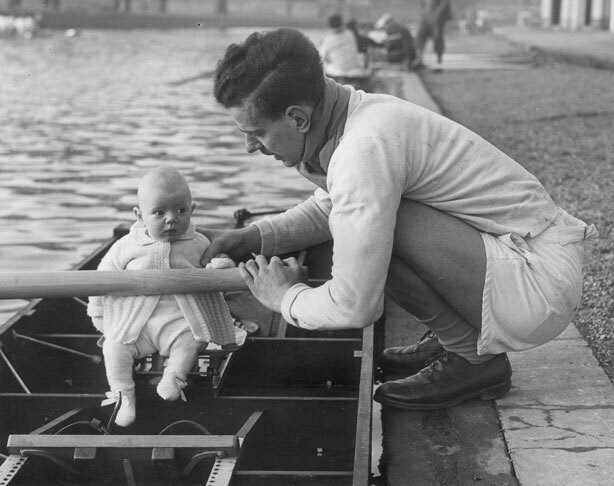 During the 1900 Summer Olympics, the Dutch paired rowing crew lost a heat and decided their coxswain was too heavy. They found a French boy in the area who they recruited and subsequently the team won the gold. 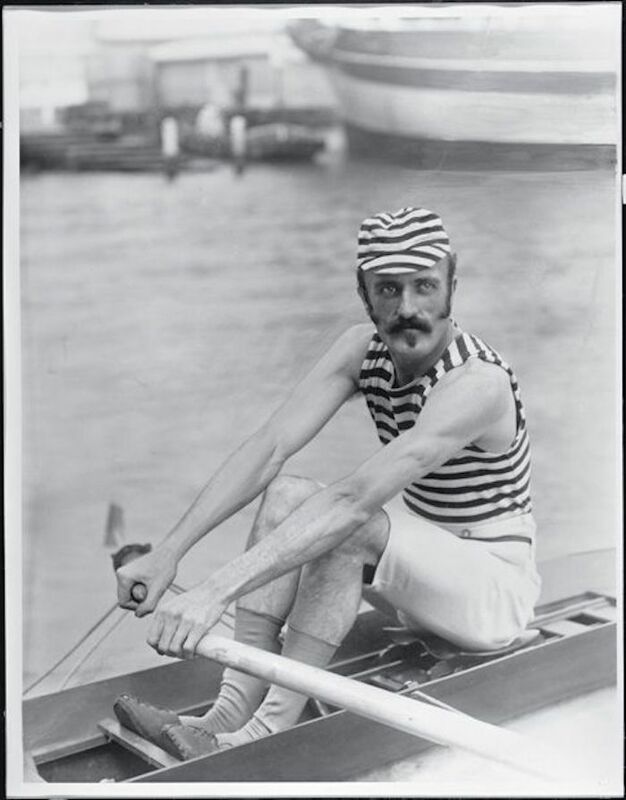 Frank Senior, Australian sculler. Rowing and sculling were popular spectator sports. 1890s to 1910s. Before the award ceremony, the boy returned to the crowd and his name wasn't recorded.